Sending you communications and information from C.D. NUMANCIA by different means, including electronic ones, if you check the box for that purpose. Legal basis. The legal basis for processing personal data is by means of the express consent of the interested party. Recipients. No data will be transferred to third parties, except where there is a legal obligation to do so. Purpose. Answer your request for information made through our Ethics Committee’s enquiries and complaints form. Having your photo taken with the team. Taking part in the “Have your photo taken with your Numantino idols” draw. Send you communications and information from C.D. NUMANCIA by different means, including electronic ones, if you check the box for that purpose. Purpose. Handling the sending of the C.D. 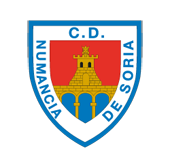 NUMANCIA Newsletter to those users who subscribe to the service. Legal basis. The legal basis for processing personal data is by means of the express consent of the interested parties who subscribe to the service by checking the box for that purpose. Sending you communications and information from C.D. NUMANCIA by different means, including electronic ones, if you have given your consent. Legal basis. The legal basis for processing personal data is by means of the express consent of the interested parties, and the execution of a legal relationship between said parties. 6. Information concerning data collected in the Registry Book. Purpose. Your data will be treated with the sole purpose of complying with the provisions of Law 19/2007, of July 11, against violence, racism, xenophobia and intolerance in sport. Legal basis. The legal basis for processing personal data is compliance with a legal obligation. a. Purpose. At C.D. NUMANCIA we process your personal data with the sole purpose of managing the administrative and logistics services derived from the contractual relationship as well as the commitments derived from the contract. Legal basis. The legal basis for processing personal data is by means of the express consent of the interested parties, compliance with a legal obligation, and execution of a contract. Purpose. To involve you in personnel selections carried out by C.D. NUMANCIA. Legal basis. The legal basis for processing personal data is by means of the express consent conferred on us by virtue of the candidate’s making an unsolicited application. Processing your enrolment for the Numancia Campus. For each of our forms, you can exercise the rights of access, rectification, deletion, opposition, as well as other rights developed in additional information. The data that C.D. NUMANCIA will compile via the use or navigation of the web page as well as by the completion of our forms are personal data. At the time of completing each of the forms present on our website there will be a series of mandatory data, whose fields ‘Page 2 of 3’ are marked with the asterisk symbol, (*). In the case of not filling in such fields, the described purposes of each of the forms cannot be carried out. This information will not be related to a specific user and will be stored in our databases for the purpose of carrying out statistical analysis, improvements in the Website, products and / or services and commercial strategy, by RESPONSABLE DEL TRATAMIENTO, SL, and will not be shared with any third party. For more information visit our Cookies Policy. The reasons for the processing of the data collected through the forms available on our website, will be described in the basic information on data protection regarding each of them. Sandesh, as this a table that I had to copy and paste from a PDF, the right side goes beyond the width of the page and I cannot seem to bring it in. All the text is right, though! Your personal data will be processed until such time as the consent granted for this purpose is withdrawn. Your personal data will be processed for the time strictly necessary to meet your request. Your personal data will be processed during the time strictly necessary to meet your request / complaint. Your personal data will be processed during the time strictly necessary for participation in the draw. Your personal data will be kept until you cancel your subscription to the C.D. NUMANCIA Newsletter. Your personal data will be processed for the duration of your relationship with C.D. NUMANCIA. CD. NUMANCIA will cancel the data of those persons who attend the event once it has concluded, unless it is necessary for an investigation into any incidents that may have occurred as a result of the sporting evento taking place, in which case, it will keep only the data necessary for the identification of the persons who may have taken part in the conduct being investigated. Your personal data will be processed until the contractual relationship ends. Once this has finalised, and for mercantile purposes, your data will be kept for a period of 6 years in compliance with the provisions of the Commercial Code. For tax purposes, your data will be kept for a period of 4 years in compliance with the provisions of the General Tax Law. Under C.D. NUMANCIA conservation policy, your personal data will be kept for a maximum period of ONE YEAR from the receipt of the curriculum vitae. Your personal data will be processed until the consent granted for this purpose is withdrawn. Your personal data will be processed during the time strictly necessary to manage your enrolment in the Numancia Campus. 1. Execution of a contract for the provision of services2. Explicit consent of the interested party for the following data processing: · Processing of the data provided on the web contact form.· Processing of the data provided on the Ethics Committee form.· Processing of the data provided to participate in the draw "Take a picture with your idols".· Processing of your data provided in the data collection for enrolment in the Numancia Campus.· Processing of your data provided in the subscription to the C.D. NUMANCIA Newsletter.· Processing of your membership data.· Processing of customer data that appears on invoices.· Processing of your data provided on making an unsolicited application. · Submission of commercial information if you grant consent for this purpose. • The terms of retention of your data once the contractual relationship is completed is based on compliance with the provisions of the Commercial Code. • Communication of your data when requested by the Inspectorate of the Treasury is covered by Law 58/2003, of December 17, General Tax. • Law 19/2007, of July 11, against violence, racism, xenophobia and intolerance in sport. • The management of the collection of receipts corresponding to the payment of the services provided is covered by Law 16/2009 on Payment Services. Which third parties will your personal data be passed to? As indicated above in the basic information, no data will be transferred to third parties except where there is a legal obligation to do so. In those cases where it is necessary, customer data may be transferred to the following agencies, in compliance with a legal obligation: 1. The necessary data for compliance with any legal obligation may be transferred to the Spanish Tax Authorities.2. To the corresponding banking entities, to be up to date with payments.3. In the event that we are required to do so, your data will be transferred to the Labour Inspectorate. Also, the data collected in the Registration Book led by C.D. Numancia in accordance with Law 19/2007, of July 11, against violence, racism, xenophobia and intolerance in sport. will be available to the security coordinator and the State Commission against violence, racism, xenophobia and intolerance in sport, and will be provided to the governmental authority in case it requires it. You, as the owner of the data owner, have the right to obtain confirmation of the existence of a treatment of your data, to access your personal data, request the rectification of any incorrect data or, where appropriate, request that data be erased when, among other reasons, the data are no longer necessary for the purposes for which they were collected or you as an interested party withdraw the consent granted. NUMANCIA and FCD NUMANCIA will process and retain your personal data in accordance with current regulations, without prejudice to the fact that, as an interested party, you may request, in any case, the limitation of the processing of your data. In certain cases, you may exercise your right to the portability of the data, which will be delivered in a commonly used structured format, in or mechanical form, to you or to a new authorised party for the handling of your data that you may designate. You will have the right to withdraw consent at any time for any of the data processing for which you have granted it. You will have the right to file a claim with the Spanish Data Protection Agency in the event that you consider that the exercise of your rights has not been adequately addressed. The maximum period for your claim to be resolved will be one month from the receipt of your request.